An important but challenging step when choosing a siding design is to decide which one best suits your home. In this case, two of the most popular designs are the horizontal and vertical siding, both of which have their own set of pros and cons. To determine which design fits your home, it helps to compare the two based on certain characteristics before contacting your chosen siding contractors. Both vertical and horizontal sidings are relatively equal in terms of durability and strength. However, when it comes to water damage and leaks, horizontal siding tends to be more vulnerable compared to vertical siding. Most homeowners believe that both vertical and horizontal siding are about the same price, as long as you’re paying for the materials. In reality, some companies may require additional pay for vertical siding installation because it takes more time and effort. Most siding contractors offer designs that come in a variety of colors and shapes. This is so homeowners can fully express their own sense of style when making home improvements. However, if you were to compare horizontal to vertical sidings, the latter is definitely the more unique option, although it may not be for everyone. Considering that horizontal siding is more commonly used than vertical siding, this style is generally easier to install compared to the latter. Vertical siding requires more time and effort during installation, which may be the reason why certain siding contractors charge more. Siding is attractive because it is usually made with materials that are durable yet low maintenance. If you compare horizontal and vertical designs, horizontal ones may require more care since they have a larger potential to incur water damage compared to vertical siding. 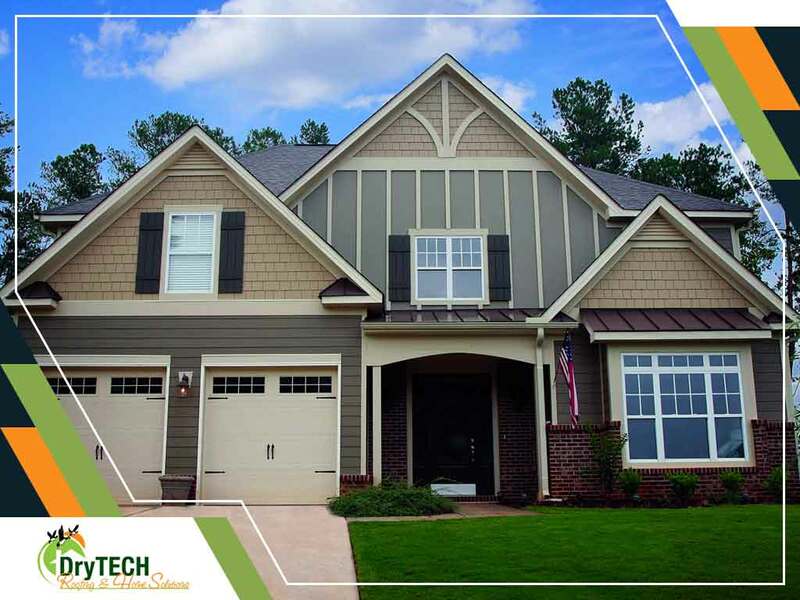 DryTech Roofing has a team of expert Maryland vinyl siding contractors so residents in the state can get the best home improvement solutions they deserve. For a free in-house estimate on siding, call us today at (240) 491-5600. We’re here to answer your questions.